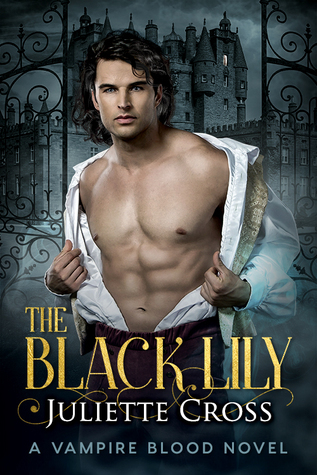 Local schoolteacher, the raven-haired Brennalyn, is on her own mission—to spy on the duke and discover what she can for the Black Lily. She longs to help thecommonwealth and bring justice to themany orphans left behind from theravages of the blood madness, like thechildren she lovingly keeps in her care. 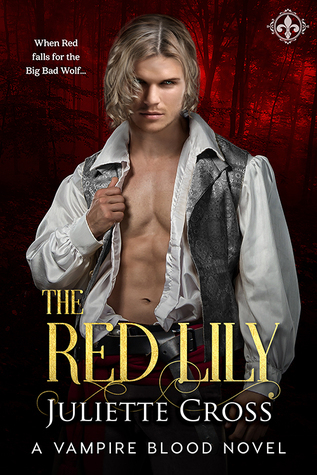 What she doesn’t plan for is the heart-pounding attraction she feels for the duke, enemy to the Black Lily. I'm so glad I decided to read the first three books in the Vampire Blood series back-to-back. Not only am I hooked on author Juliette Cross's exciting series, I seriously cannot wait for the next installment! Snow White may have been sweet and pure, but after Juliette Cross get through with her, she receives a serious update with Brennalyn Snow. A smart, sassy, school teacher with a heart of gold and a house full of orphans she felt the need to care for, Brenna's story introduces something new to this series--family dynamics. 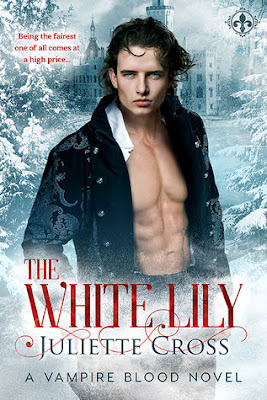 Yes, The White Lily is still a paranormal romance, and with the introduction of kids, the series gets a serious injection of pulling on the heartstrings. The scenes with the children who vary in age only enrich the story and provide some magical moments (the littlest one is so endearing). Seeing grown vampires melt in front of a five-year-old girl charmed this reader. Getting back to the couple of this love story, I was already intrigued by Friedrich in The Red Lily when he helped out Nikolai and Sienna while they were on the run from the Queen's henchmen. Mysterious, a little aloof, and charismatic, I'm thrilled to see him have his story in The White Lily. He's an aristocrat, a duke, a lady's man, and...a loner. Unlike other vampires, he doesn't have a blood harem in his castle and he doesn't care for most of his royal family. One aspect of this series I continue to enjoy is the complete level of devoutness these vampires develop when it comes to the women in their lives. From Marius to Nikolai and quite evidently with Friedrich, the magnetism each man feels when they encounter the lady who will become his life mate is thrilling to read. The way they open up and learn to accept their feelings is refreshing to see in male characters. These men can have their Alpha attributes, exude an occasional 'caveman' moment, and still revel in their emotions without losing a shred of their manhood. Cross creates their 'special moments' of realization with lovely strokes and with a true writer's eye. Her words stand-in for paint colors as they establish varying hues along with her precise attention to details. Friedrich became my favorite of the series heroes as he toyed with the mousy teacher in her drab frocks. The way he pushed her buttons and played with her was fun to watch and made this couple endearing. I especially liked the scene where Brenna fumbles with her excuse for why she was inside his castle spying on him. Their interactions give the story a lightheartedness and a healthy dose of sexual tension and chemistry. The threat of war grows stronger as does the mystery of who this White Lily is. Who is distributing pamphlets for the cause? King Dominik makes an appearance a couple of times (as does his mother later on), and it's soo good to see the bad guys in action so we have a reason to hate them and cheer on the heroes. 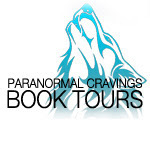 I adored this third installment in the Vampire Blood series. There's so much going on, the story lines are moving closer, the various characters and kingdoms are mixing together, and the Black Lily is indeed growing stronger. The romance is heady, beautifully written, and the conflicts keep me invested in this alluring world. From the snow-covered beauty of Winter Hall to the shocking darkness of King Dominik's castle, with each reveal I look forward to what happens next. I also must mention how much I loved the introduction of the Friedrich's personal guards, the Bloodguard vampires. These paid-for-hire mysterious mercenaries with individual interesting 'talents' and stealth-like assassin skills were fascinating. More please! The Vampire Blood series has become a must-buy for me. Hopefully Mikhail will be featured soon in the series, along with Princess Vilhelmina and the hart wolf Dane too? Whatever the author decides, this reader can't wait. And even though the series can be read out of order, for the full experience begin with book one. Rating: 5 I LOVED IT! Cover comment: I love everything about this cover. The model's eyes remind me of a younger version of the actor Aidan Quinn. The snow, the castle, his clothes, and the fonts, everything works for me. 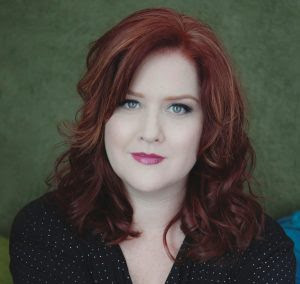 JULIETTE CROSS is a multi-published author of paranormal and fantasy romance. She calls lush, moss-laden Louisiana home where she lives with her husband, four kids, and black lab named Kona.